The Range Rover is a luxury all-terrain vehicle. Produced by the famous manufacturer Land Rover since 1970, is a 4×4 new kind of happens on the automotive market. Despite four generations that have followed this 4×4 remains as luxurious as adventurer. 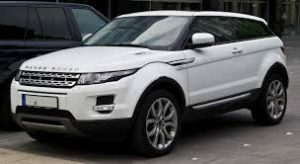 Since 2008 Land Rover manufacturer belongs to the Indian group Tata Motors. The Range Rover comes in several models including the Vogue model and Autobiography Sport. The Range Rover range has managed to modernize over the years to meet customer expectations and continue to play the role of the competitor in the 4×4 market. At its first launch is equipped with four-wheel drive and a V8 petrol engine of 3.5 liters. Very popular for its many performances including his conduct on road but also off-track, it is a model that will suit you perfectly for your stays in the mountains, skiing, or on steep roads as those of Corsica. Mc Luxury Rental rightly puts at your disposal three flagship models of the brands: Vogue, Sport and Autobiography. The Range Rover Vogue is a model of unparalleled maneuverability. Its interior is sophisticated with leather seats with electric adjustment Oxford 14 directions at the front and headrest manually adjustable 4-way front seats have air conditioning and rear seat heat. At the front the driver and passenger seats are equipped with position memory. Its dashboard provides intuitive new technologies at hand. With Adaptive Dynamics technology that constantly monitors the movements of the vehicle to react accordingly, your driving will be more comfortable. Moreover, the Range Rover Vogue has cameras to help parking. The multimedia system in place in the Range Rover Vogue will allow you to entertain you while enjoying a comfortable, supple ride. 4×4 Range Rover Vogue is equipped with air conditioning which is not negligible during a stay in the sun. Alloy wheels 20-inch 5-spoke adds an aesthetic touch to the already impeccable design of this model. As for its V8 engine power of 340 horsepower it will make you amazed by the way from 0 to 100 km / h in 5.4 seconds. The Range Rover Vogue is the height of luxury with an exceptional level of sophistication and attention to detail rarely equaled combining performance, intuitiveness and driving pleasure. Range Rover Sport is a 4×4 that begs to be driven. Everything makes you want in this spectacular model. Its design and shape make it a top model with strong lines and modern style. A sophisticated interior with leather seats grained adjustable electrically. The cab controls have been designed to be intuitive and fun driving. Range Rover Sport features a new generation electronic air suspension that provides outstanding handling. This vehicle keeps its promises even in the most difficult conditions. Alloy wheels 20-inch 5-spoke adds an aesthetic touch to the already impeccable design of this model. As for its V8 engine with a power of 258 horses it will make you amazed by the way from 0 to 100 km / h in 7.6 seconds. 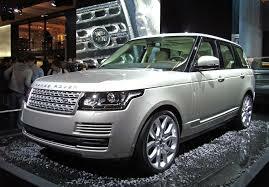 Finally the Range Rover Autobiography is the third model presented by Mc Luxury Rental is a model that stands out. The new generation air suspension and Terrain Response 2 with five terrain modes provide comfort and exceptional capabilities on and off road. Semi-aniline leather with contrast stitching was selected for its natural and flexibility. For comfort during long trips, the massage seats offer five programs the driver and passenger in the front. The Autobiography badge on the tailgate, as well as embossed on the rear center cushion end elegantly covering the vehicle. Still quite imposing these models are very handy so you can take on all types of roads or parking. 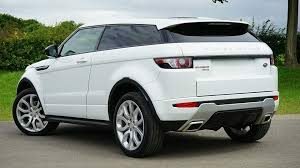 Whether you want to go on a mountain in a ski resort as the best known Megève, Val Thorens or Courchevel with a time of snow, rain or under the sun of Monaco, Cannes or Marbella Range Rover will be your allies in that you can trust. 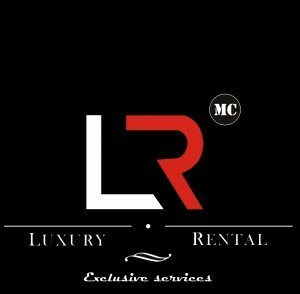 Models to discover with Mc Luxury Rental.